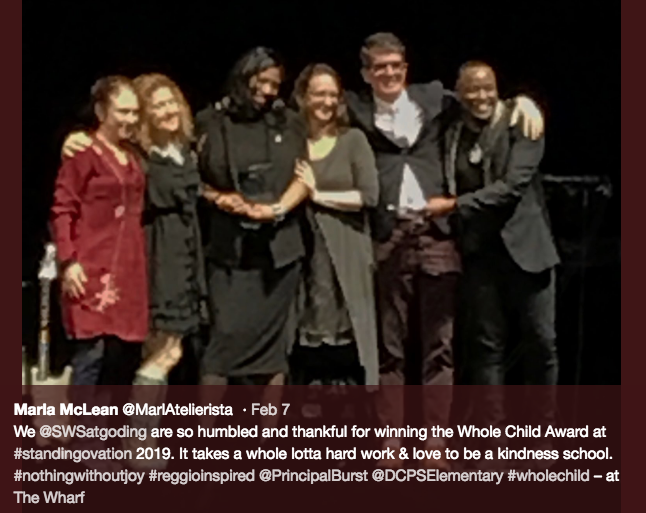 At this year’s DCPS Standing Ovation Awards, School-Within-School @ Goding was awarded the “Whole Child Award”! SWS was nominated along with Ron Brown Academy and Maury Elementary. Each year the DC Public Education Fund hosts Standing Ovations and honors DCPS’s outstanding schools and individual employees with recognition and cash awards. We are so fortunate to be part of this creative, caring, and kind school community.